Are you looking forward to the 2017 Buick LaCrosse? Well, thanks to some crafty photographers across the globe, we now have more photographs than ever of the 2017 LaCrosse, which was recently caught while testing in China. We can see from the images that the 2017 LaCrosse has a very slender frame with a low roofline, fitting right in with the latest trends in mid-size cars. However, it still has its own, signature sense of Buick flair. Even the front fascia of the 2017 LaCrosse looks sleeker, but what’s most surprising is the new vehicle’s interior, which appears to have changed entirely, looking more refined and high-tech than ever. Check out a gallery of the 2017 Buick LaCrosse spy photos here, to get a good look for yourself. Hopefully, Buick will release some official images of the new car soon. 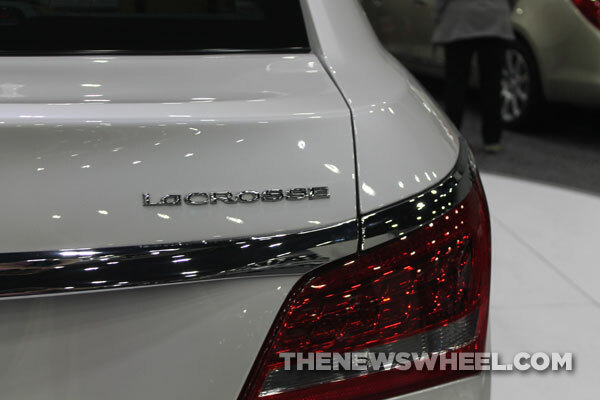 What do you think of the new Buick LaCrosse? Let us know what you think about the model in the comments. This entry was posted in Buick LaCrosse and tagged 2017 Buick LaCrosse, 2017 Buick LaCrosse Spy Photos, Buick, Buick LaCrosse, FL, Rivard Buick GMC, Tampa. Bookmark the permalink.